The company has successfully recruited a potential group of applicants for an interview. The interviews are over, and the company has chosen the perfect candidate for the position. An offer has been made and accepted. Now the new employee has arrived to start work. This next step, the onboarding process, is the organization’s opportunity to show the new hire how things work in the company. 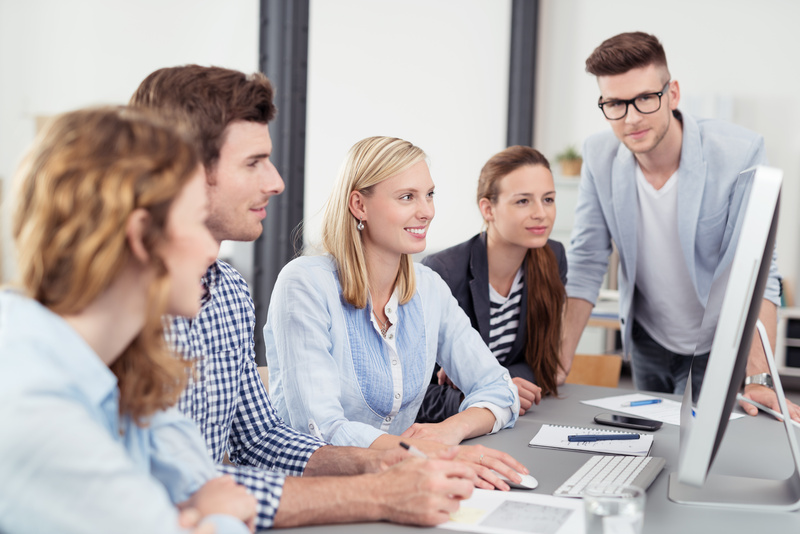 The employee onboarding process should be a smooth process. The benefits, compensation, and contracts are all reviewed during this time. During the onboarding process, the company also shares their culture, values, and goals. The organization may benefit from using an automated system when delivering electronic documents, such as contracts and payroll information. Depending on the position of the new hire, the IT department will grant access to the needed tools for the new hire to do his or her job efficiently. The company may also use an automated system to introduce the new hire to the rest of the employees and to learn the company structure and procedures through an online training session. The need to provide support and a sense of community for the new hire during the onboarding process is essential to the organization. There are several steps a new hire will need to complete in order to be fully on board. First are the offer and acceptance of the salary and benefits related to the position. There may be tasks the new hire will need to complete before their first day of work. The next steps fall in the area of compliance, clarification, culture, and connection. Compliance involves clarifying and collecting basic legal information and providing training on the rules and regulations of the company. This includes data upload from an application, completing payroll and other benefit information, requesting equipment, introducing communication systems such as email, training on entering systems, rules for work hours, overtime, and other compensations available. This involves the clarification of roles for the position and within the organization. The organizational chart and new hire’s immediate supervisor should also be stated. This phase also involves laying out the expectations and responsibilities of the new employee and making the new hire aware of the company’s goals, visions, and objectives. The culture of an organization is key to retaining a new hire. Orienting the new hire on organizational norms, and introducing them to other employees is also a part of the employee onboarding process. Assigning them a mentor to ensure the new hire understands how the company does things is essential in retaining and fostering a successful onboarding process. Connecting the new hire with colleagues within and outside the organization is important. Assisting the colleague in fostering relationships that they will need in order for them to perform their role effectively is an area in the onboarding checklist that should not be overlooked. When it comes to human resource management, which includes employee onboarding, Origin ensures that your business runs as smoothly and effectively as possible. We offer a unique Applicant Tracking System, (ATS), to simplify the never-ending challenge of finding and onboarding top talent.